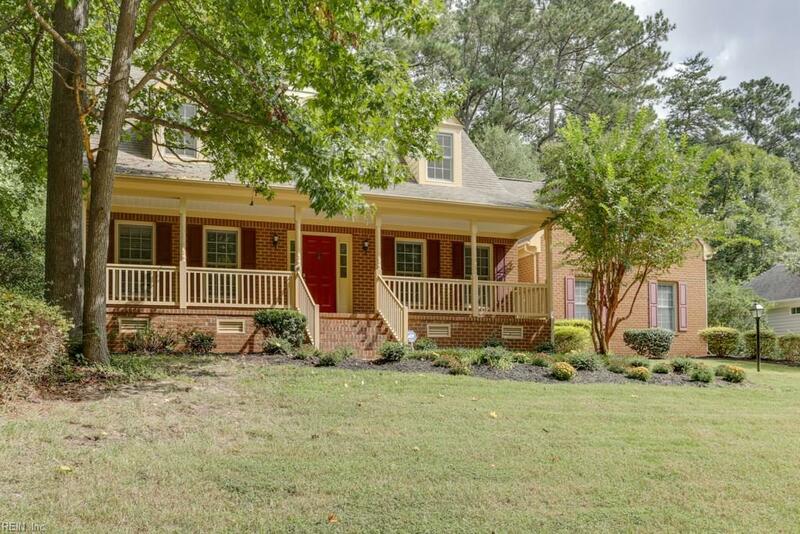 305 Piney Creek Dr, Williamsburg, VA 23185 (#10250046) :: Abbitt Realty Co. Imagine coming home to your beautiful brink front home with dormers on a hill overlooking the woods on a quiet street in a beautiful community. 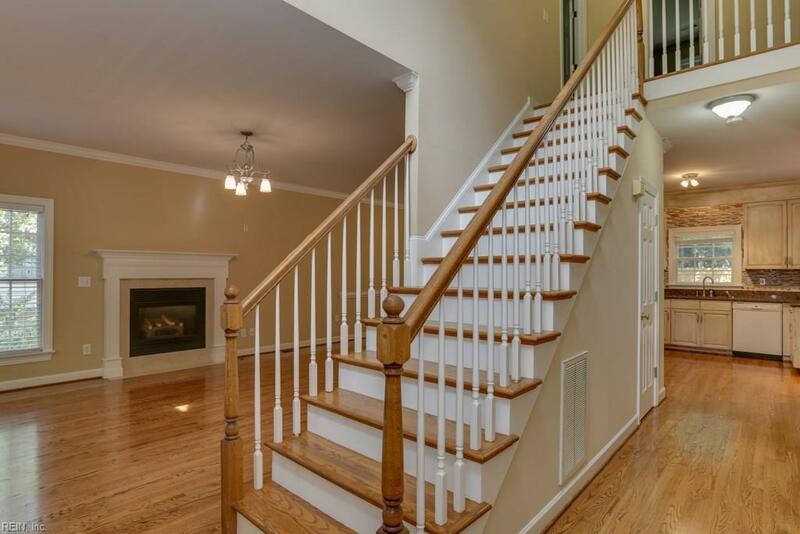 Greeting guests in your stunning two story foyer with hardwood floors & stairs, visiting with friends in the warm inviting living room with gas fireplace or having holiday family dinners in your open dining room. 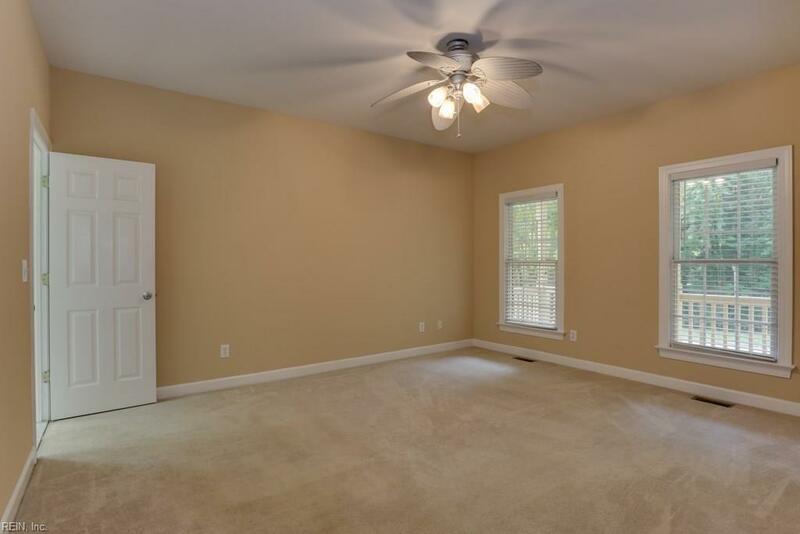 Wake up in your downstairs master suite then go enjoy your coffee in the eat-in kitchen overlooking your deck in your shaded fenced in back yard. 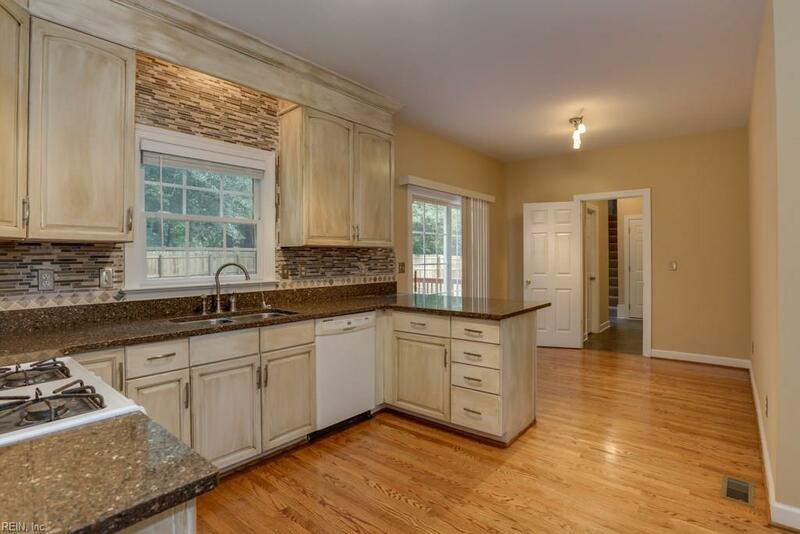 This traditional Cape Cod with a clever upstairs layout that maximizes useful space through the creation of two large bedrooms as well as offering a flex space for a study, exercise room, or home office. The possibilities are endless! Call or text to schedule your private tour today and start envisioning the tranquil lifestyle of Williamsburg!